On November 10, 2018, about 1530 eastern standard time, a Mooney M20C, N78870, was substantially damaged during a forced landing immediately after takeoff from the Cape May County Airport (WWD), Wildwood, New Jersey. The private pilot was seriously injured. Day visual meteorological conditions prevailed at the time, and no flight plan was filed for the personal flight destined for Columbus County Municipal Airport (CPC), Whiteville, North Carolina. The airplane was operated under the provisions of Title 14 Code of Federal Regulations Part 91. According to the pilot, the left fuel tank contained about 21 gallons of fuel, and the right fuel tank contained about 3 gallons. The fuel selector was positioned for the right tank and remained there for the startup, taxi, run up, and takeoff. A video recorded by a witness captured most of the flight. The airplane took off from runway 28, which was 4,998 feet long. About 7 seconds after liftoff, the landing gear were in the fully retracted position. About 8 seconds later, at an altitude of about 150 ft, the engine began to sputter and then ceased. About 6 seconds later, while still over the runway with about 1,700 feet of runway remaining, the airplane began a descending 180° turn to the right, impacting a drainage ditch to the left of runway 10. Examination of the airplane by a Federal Aviation Administration (FAA) inspector revealed substantial damage to the outboard 3 feet of the right wing, as well as the left horizontal stabilizer and the left elevator. No fuel was observed in the right wing fuel tank, and an undetermined quantity of fuel was present in the left wing fuel tank. According to FAA airmen records, the pilot held a private pilot certificate. His most recent FAA third class medical examination was performed on June 3, 2016, at which time he reported 900 hours of total flight experience. At 1555, the reported weather at WWD included wind from 290° at 16 knots with gusts to 25 knots, with a peak wind reported at 1545 of 280° at 26 knots. LOWER TOWNSHIP, N.J. (WPVI) -- Authorities are investigating a plane crash at the Cape May Airport in Lower Township, New Jersey Saturday afternoon. 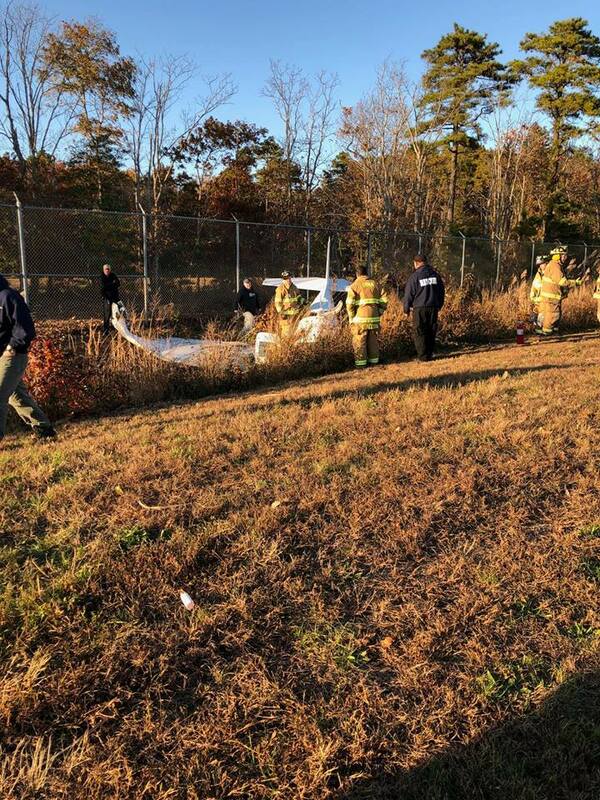 Officials say it was just before 3:30 p.m. when a small aircraft landed in a ditch at the airport. The pilot of the Mooney M20C Mark 21 lost control on takeoff and landed in the ditch. The pilot, who was the lone occupant, was taken to the hospital to be treated for facial cuts and bruises. 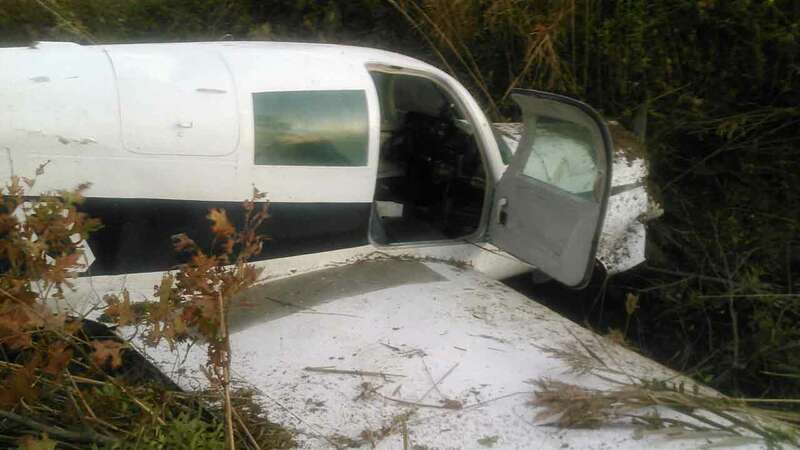 The Lower Township Police received a report of a plane crash at approximately 3:31 PM on 11/10/18 within the Cape May County Airport. Upon police arrival the pilot was out of the single engine aircraft with very minor injuries. 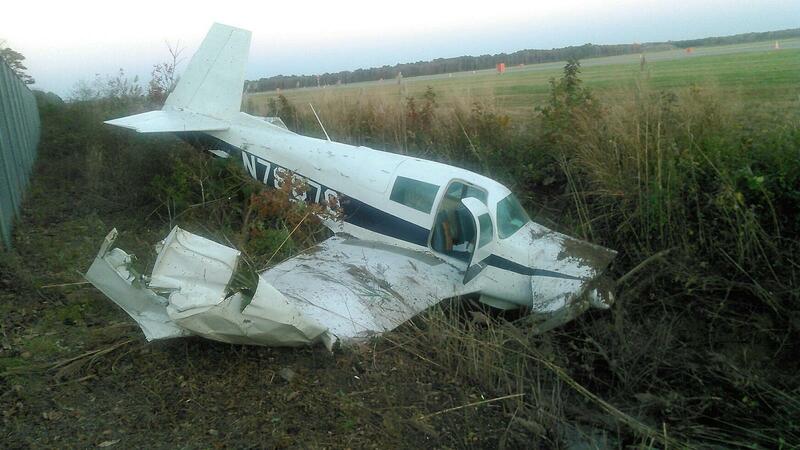 The plane crashed shortly after takeoff from the Cape May County Airport. Erma Fire, Villas Fire, and Lower Township Rescue also responded. The Federal Aviation Administration was notified and responded to the scene and will be conducting the investigation. 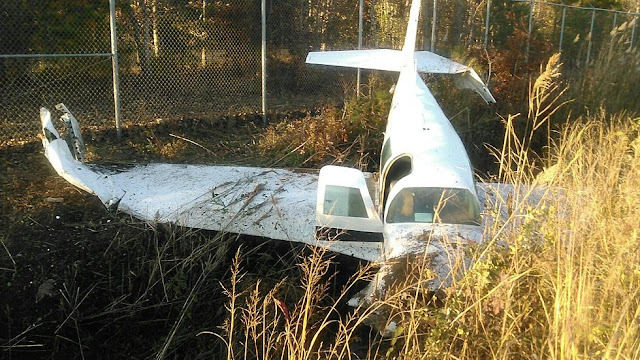 A small plane crashed into a ditch Saturday afternoon, shortly after taking off from a Jersey Shore airport, the Federal Aviation Administration said. The pilot was the only person on board, the Federal Aviation Administration said. When police arrived, the pilot was out of the aircraft and had very minor injuries, the Lower Township Police Department said. The Mooney M20C Mark 21 departed from Cape May County Airport at 3:30 p.m., the Federal Aviation Administration said. It then crashed into a ditch. The Federal Aviation Administration and National Transportation Safety Board were investigating. Wonder who is working on the m20 series over at KWWD? That's 2 crashes in less than 2 weeks.